The cornerstone building in a busy city-fringe business park, Millenium 3 has become an instantly recognisable landmark on one of Auckland’s most travelled arterial routes. 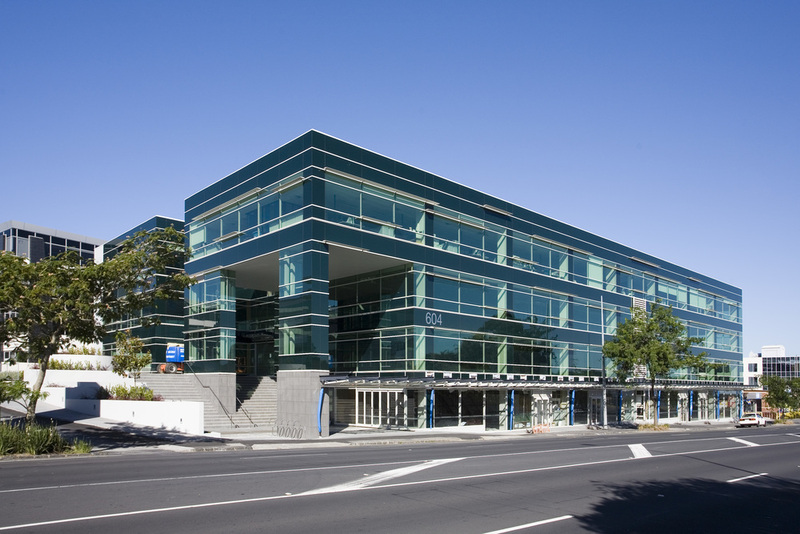 The six-level Millenium 3 building was the final addition to Greenlane’s popular Millenium complex and occupies a prime position, fronting Auckland’s busy Great South Road. Given the building’s prominent location, Ignite’s client, Goodman was eager to create a premium, 4 Green Star office space that would become a local landmark and attract high quality tenants. Goodman wanted to create a building that would make the most of the street-facing position and set the scene for the rest of the office park. To ensure a future-proofed asset, the office space needed to be flexible and easy to subdivide into a variety of office space configurations. Goodman was also eager to maximise the building’s road frontage by including high quality retail spaces on the ground level. With a busy arterial route on the south-western edge of the building, and the majority of the building’s occupants entering from other directions, the design team recommended that the road-facing ground floor be given over to quality retail space. By locating the entrance on the complex’s northern plaza, the design created a strong focus for tenants and visitors approaching the complex. Inside the building, a central atrium creates an internal ‘street’ where tenants and office workers can socialise informally. Large, 2,200sqm floor plates can be easily divided into a range of tenancy configurations and glazed walls allow natural light to penetrate deeply into the open plan office space, minimising energy usage and enhancing the well-being of the users. As part of the strategy for achieving a 4 Green Star rating for the building, two narrow floor plates were arranged in a U-shape that acts as the internal ‘street’. 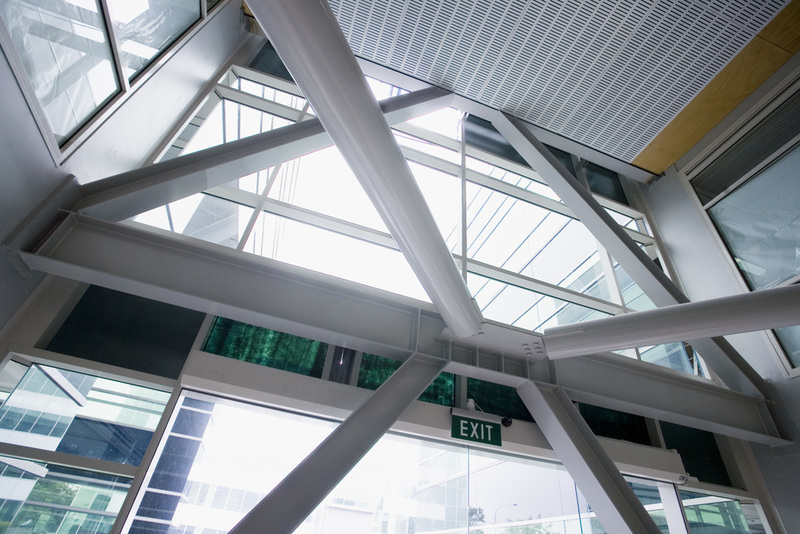 By keeping the office walls facing the internal space, the full-height atria can be used as a return-air plenum for all building floors, with no air conditioning or forced ventilation required. The glazing on the building’s exterior curtain walls enables to high levels of solar shading and thermal insulation, reducing both energy usage and capital outlay for mechanical plant. The design of the roof allows rain water to be harvested, collected in tanks and re-used on site, and cycle racks encourage use of more environmentally friendly means of transport.